We've been remiss in updating on this. 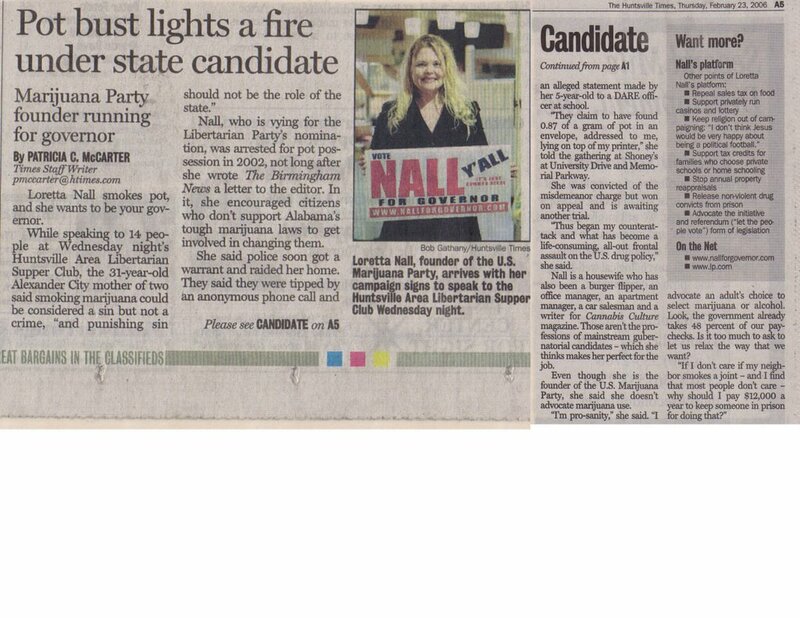 Loretta Nall got a front page story in the Huntsville Times about her run for governor. (Click on the photo and it gets large enough to read). Is it me or are the articles becoming less snarky? A year ago the media could barely conceal their contempt for a "pothead" candidate if they covered her at all. Now she's on the front page. I'm telling you, if anyone can pull off an upset win, it's going to be Loretta.